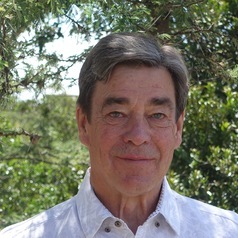 Philip Dobie is a Senior Fellow at the World Agroforestry Centre (ICRAF). As a member of the Research Methods Unit he is closely involved in the centre’s policy work, seeking to link research with development impact. Previously, Philip was the Director of the Drylands Development Centre, which is the United Nations Development Programme’s (UNDP) global facility dealing with development in the dry regions of the world. Before that he began his career as an agricultural research scientist with CIMMYT in Mexico, later managing scientific research for the United Kingdom’s development programme and then as Senior Natural Resources Advisor for the UK Development Programme. He moved to UNDP to manage Capacity 21, a programme established to help developing countries to implement Agenda 21. Throughout his career, Philip has worked closely with policy makers and decision makers in developing countries, in donor institutions and in multilateral institutions (especially the United Nations and the World Bank). He has worked in close partnership with a number of universities, including University College Cork in Ireland where he is an Adjunct Professor. He has worked extensively in Latin America, Africa, the Middle East and also in Asia. He has lived for extended periods in Mexico, Mali, Kenya and the United States of America as well as his native UK.